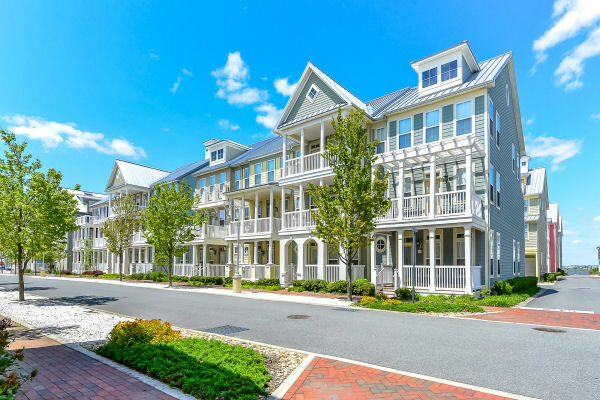 Sunset Island is a 37 acre, gated island community located on 67th Street in Ocean City, Maryland. Seated by the bay, this resort-within-a-resort is only two blocks from the Atlantic Ocean. Imagine neo-traditional streetscape with brick sidewalks, front porches, alleyways, rear garages, community boat slips, world class amenities, and good neighbors. This gated complex offers 3 bedroom condo rentals, 4 and 5 bedroom townhouses, and 5 and 6 bedroom single-family homes. At Sunset Island, you can enjoy a fully amenitized lifestyle. 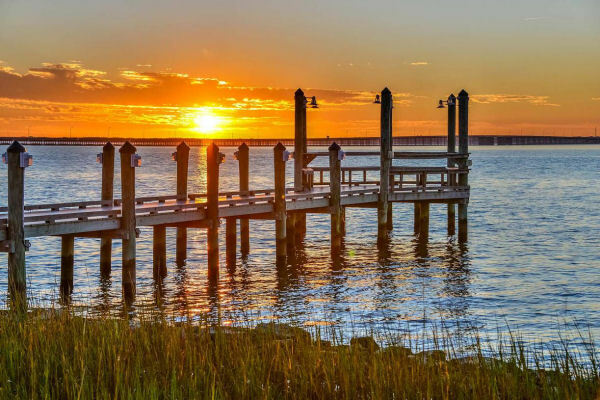 There is so much to experience, including a classic gated entry, an interactive fountain, a community clubhouse and indoor/outdoor pools, a restaurant, fishing piers, and a path system circling the island along the water’s edge. 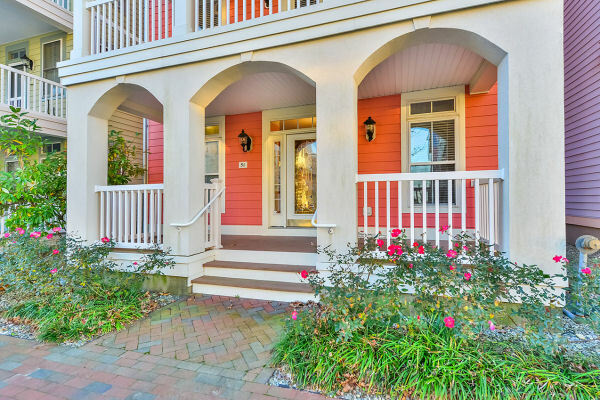 Enjoy a jog along the bay, a cup of joe at the local island market, a workout or swim at the clubhouse, or a relaxing afternoon at one of the private bayside beaches. Beyond the gates of Sunset Island awaits the world of Ocean City and the entire Delmarva peninsula. It’s so easy to venture out and enjoy whatever you like, knowing that later you can return to a more peaceful and luxurious world of your very own.